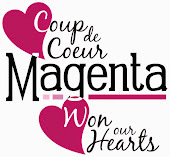 Hi Magenta friends! When I saw the Rosa Canina Duo stencil in the new collection, it just begged to be used with watercolours. 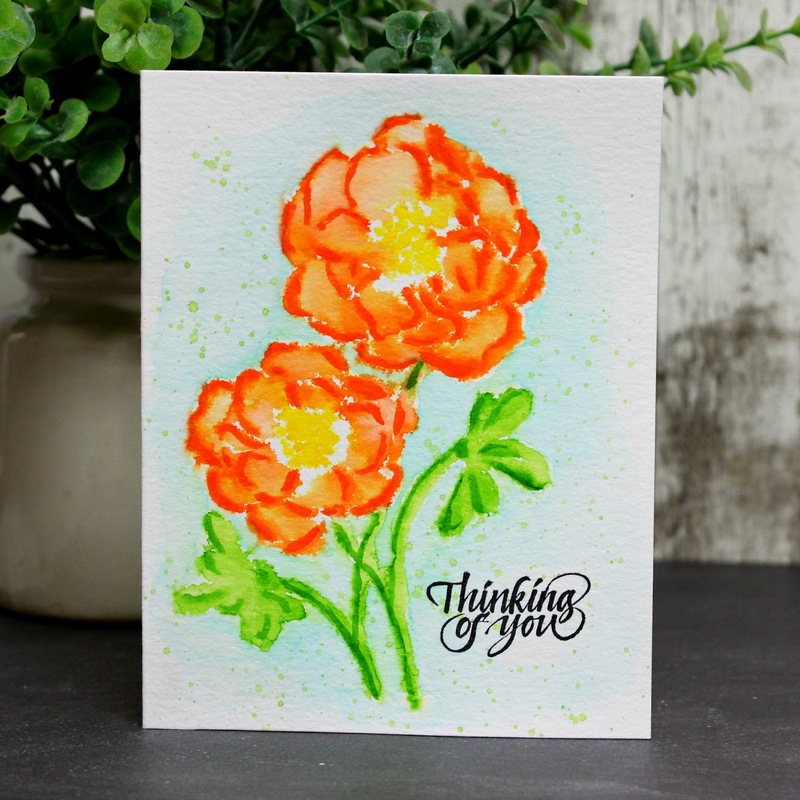 Today, I am sharing one way that I used a watercolour technique on a card. I started with a 4 1/4 x 5 1/2" card base made from Canson XL watercolour paper. Using Kuretake Zig Clean Color Real Brush markers in Orange, Yellow, and Light Green with the Rosa Canina Duo stencil, I coloured the lines of the flowers. Before removing the stencil, I spritzed it with water to activate the colour. Once I removed the stencil, I again spritzed over the image to allow the colours to start to move and blend. Next, I used a watercolour paintbrush and water to direct the colour movement as desired. After letting it dry, I realigned the stencil and went back over the lines with the Clean Colour markers to add definition to the flowers. Then, I painted with water around the image and added Cobalt Blue Clean Colour to add in a background. Once dry, I stamped the Thinking of You sentiment and added some green splatters. I hope you enjoyed this watercolour card technique and give it a try. Be sure to share your results with us.